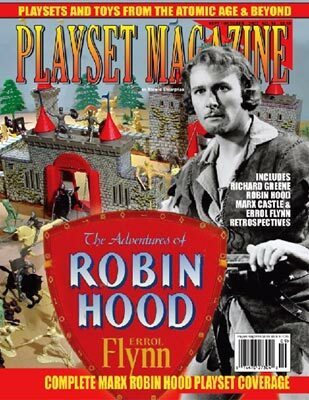 This issue we tour the Richard Greene & generic 60mm sets, 54mm sets, pluse retrospectives on Marx Medieval Castles and Errol Flynn's Robin Hood. You also get coverage of the Marx Convention, new product reviews and more. Breaking fro the Robin Hood theme, we also have an informative article on the unique U.S. Army Combat Training Center.